Ready Set Love® helps couples and individuals deepen their relationships by improving communication, intimacy and connection using the latest science. Our online programs are affordable, convenient, and expertly taught. They deliver the highest quality relationship skills training to help partners achieve their relationship goals and dreams. Isn’t is crazy none of us gets a class on healthy relationship?! You’d think with how important relationships are in our lives, we would all have received extensive training in how to be emotionally supportive, communicate differences with understanding, create connection with different personality types, and preserve romantic intimacy in long-term relationships. But generally speaking, none of us receives a class or training like that. If you saw healthy relating in your family, you’re lucky, as many don’t. But even then, you have to practice it yourself to be good at it! You can’t just watch your parents play soccer to be good at it yourself! What typically happens is that we get together with a partner, and we’re expected to do relationship well, but often, the dream we have when we commit to a partnership fades with the reality of how difficult it is. That’s where our programs step in. 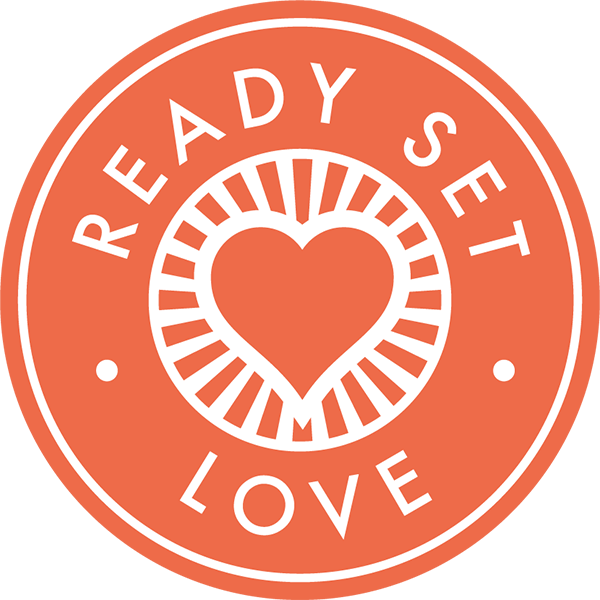 Ready Set Love® aims to provide the master class you (and your partner) never got on how to have an awesome, rockstar relationship. Our programs are based on the latest science of relationships, including neuroscience and modern attachment theory. Our messaging is inclusive of all couples, regardless of sexual orientation or how partners define their commitment. And we try to make the learning process fun, positive, and celebrate you improving your relationship skills! These days, many couples are busy. Partners seem to not have time to tend to their relationship. We’re working, raising small kids, handling logistical tasks, making money…when is there time to sleep, much less spend quality time with one another? In addition to that, we live in an information-overload world. Facebook, TV, the internet, news, we are bombarded by things that pull our attention. How do we focus on one another and tend to the close intimacy of our relationships? Ready Set Love® is designed to help you and your partner recapture that time, that depth, that connection, that you may have lost, or that you just want more of. Ready Set Love® was created by John Howard, a couples therapist & educator focused on the new science of relationships. John has trained professional therapists and doctors across the U.S. on the new science of relationships, speaks to professional and public audiences, and helps partners deepen their bond in his private practice. John developed a relationship wellness program at Google, has presented on the neuroscience of couples counseling at psychological conferences, and has authored numerous articles on new science approaches to improving relationships. Ready Set Love® is redefining relationship education for the 21st century. Please join us–as a participant, a partner or a friend. We all need better relationship skills, learned in a fun atmosphere. We would love your participation, your support, and we love partnering with like-minded businesses to spread the word and spread healthier relationships across the globe!